At HubSpot, we’re always wondering what we can do to continue to Grow Better. In Dublin, at our EMEA HQ office, we’re located a stone’s throw away from some of Ireland’s most disadvantaged communities. For the last three years, we’ve supported Sheriff Street Youth Club through employee donations. Last year, following our employee charity auction we donated more than €27,000 to train coaches, develop girls soccer teams, and support existing junior teams, which are now thriving. We’re proud as punch at helping a local club grow, but we know there’s more to do. That’s why, for the first time we’re piloting a community engagement programme. HubSpot, non-profit organisation A Playful City, and Dublin City Council, have come together to co-create an inclusive social space right on HubSpot’s doorstep at Spencer Dock. After months of planning, working with designers, knocking on locals’ front doors and gathering on-street feedback, a first of its kind installation will be unveiled this Friday 31st of August called the “Zig Zag”. 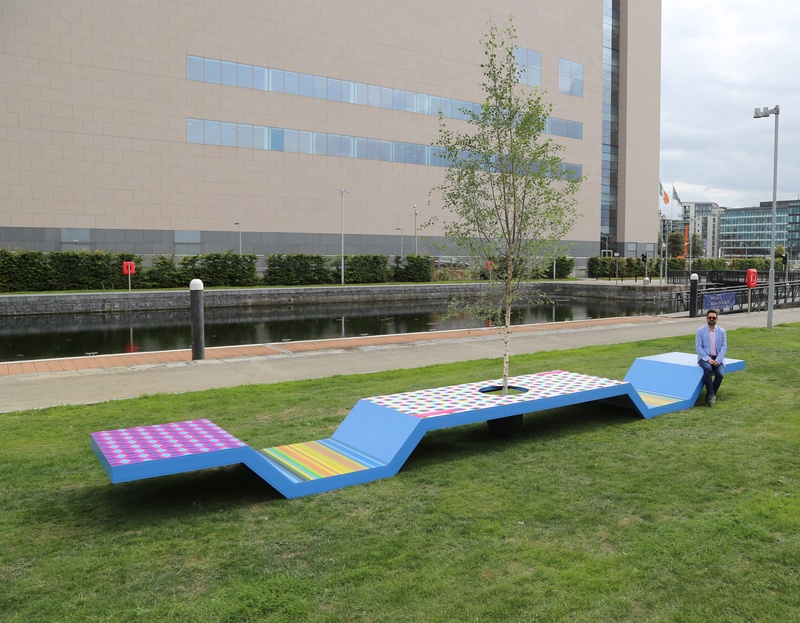 The ‘Zig Zag’ named by Barry Sheehan, Dublin Institute of Technology’s Head of Design is a zig zag shaped seating area designed to bring the community together, offering a safe place for people of all ages to sit, think, socialise and enjoy. It not unusual when the weather’s good to see bunches of young people jumping from Spencer Dock’s bank into the canal. What is unusual is that from one end of the dock to the next, no seating areas exist. Until now. Hoping to change the way people in our locality interact, and with Dublin City Council’s approval, the ‘Zig Zag’ will remain for the month of September (and hopefully into October). Designed in association with the Dublin School of Creative Arts at Dublin Institute of Technology, the installation is colourful, playful, eco-friendly, and one that all ages and abilities can enjoy. The official unveiling of the ‘Zig Zag’ to the public is on Friday 31st at 12PM. HubSpot will be treating its employees and locals to ice-cream cones to celebrate outdoors. Thank you to A Playful City, Dublin City Counil, and our supporting partners for this opportunity: Leave No Trace Ireland, Waterways Ireland, and community organisations including Little Treasures, SWAN Youth Centre, Sheriff YC & FC, and North Wall CDP. 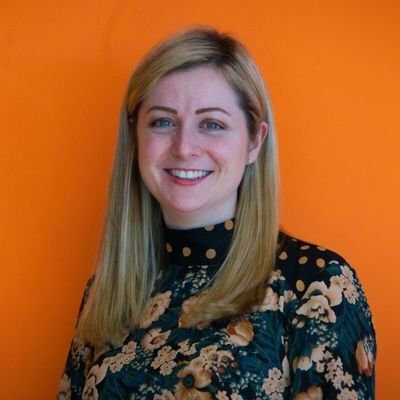 Kate is the Culture Program Manager in HubSpot's Dublin office.